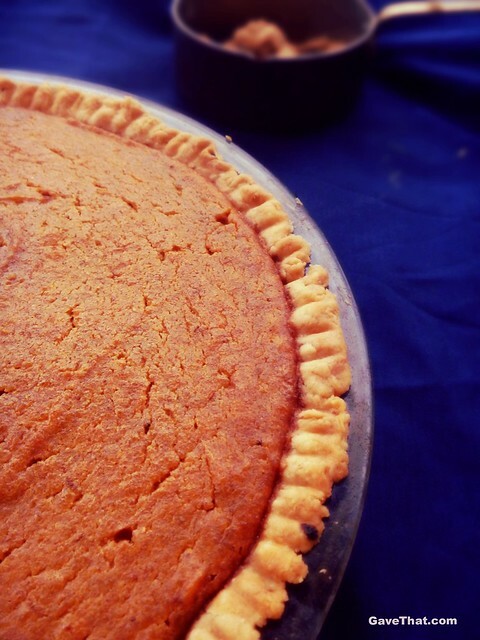 When it comes to traditional Southern sweet potato pies some of the best are homemade. 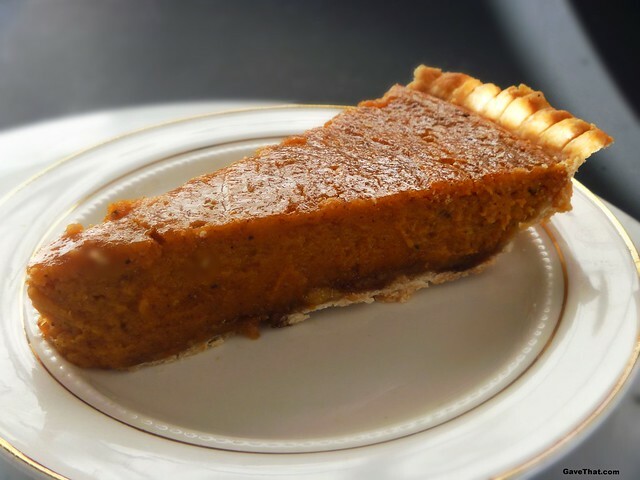 Interestingly enough, despite the furor over the sold out store bought version, Patti LaBelle's sweet potato pie is actually even better from scratch. Along with being free of corn syrup and preservatives, the original LaBelle pie recipe, as found in her now out of print cookbook, LaBelle Cuisine, has a unique black bottom to it that the store bought version does not. While we often add what is known as a black bottom— a layer of caramel inside the bottom of a pie crust— to our paper bag apple pies, this is the first time we ever experienced it in a sweet potato or pumpkin filled pie. The extra crunch and layer added am amazing dimension to the pies lightly spiced flavor while also keeping the crust flaky. When you purchase the pie in stores you miss out on this unique twist. On the other hand when following the recipe found in LaBelle Cuisine you'll find the texture and flavor of the pie filling is not quite the same as the store bought version. The main reason for this is it lacks an integral ingredient found in many shelf stable and even frozen pies... starch. Starches such as corn and potato help to produce that dense slice that keeps its shape when on a plate. It also adds an extra silky mouth feel. For some reason though it rarely makes its way into homemade pie recipes. 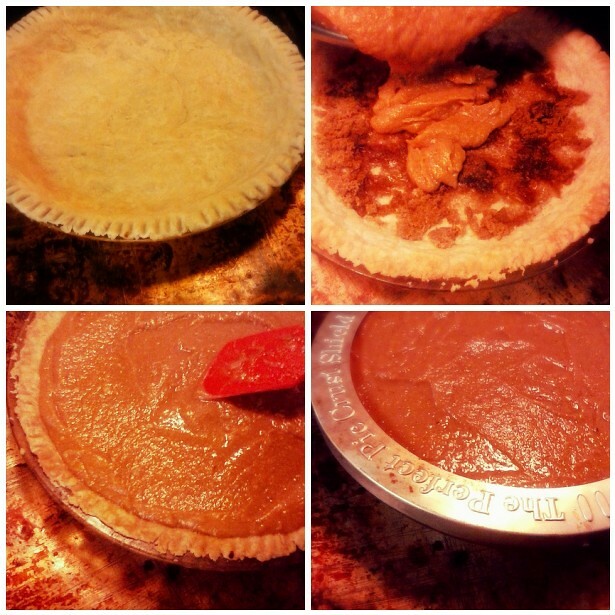 So I decided to merge Patti LaBelle's two pies together to create the recipe used here. While I kept the ingredients faithful to both pies (minus the corn syrup and preservatives) I did make one tweak in the area of spices. Patti LaBelle spiced her pies with a pinch of cinnamon and nutmeg. 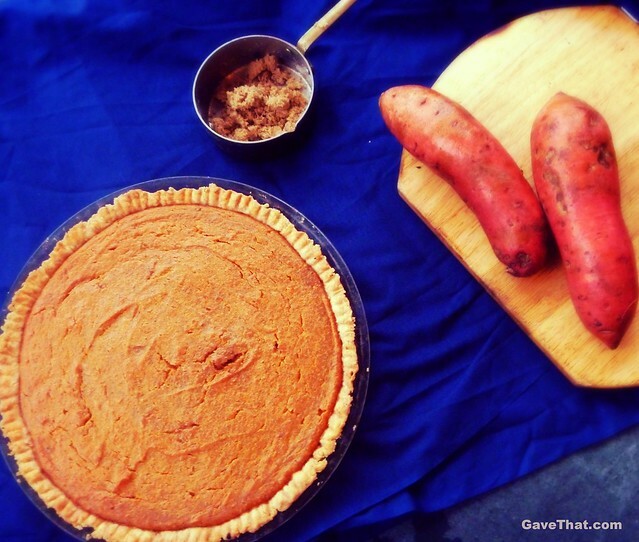 In this pie I used the Pumpkin Pie Spice blend by RawSpiceBar. Filled with all the traditional autumnal spices and a good dose of anise everyone swooned how the sweet potato pie was spiced just right. 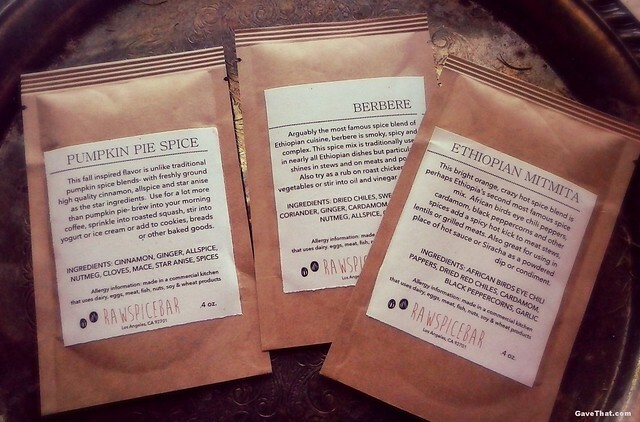 Their blend was absolutely delicious and further made the pie for us spice lovers. RawSpiceBar itself is actually a subscription based service which delivers themed spice exploration collections complete with recipes to lucky recipient's each month. An awesome gift in itself check out how to sign up or send one as a gift over here. Their November collection was a blend of traditional Pumpkin Pie Spice along with Ethiopian Berbere and Mitmita. All were insanely fresh and aromatic. This simple, flaky pie crust only uses for ingredients. 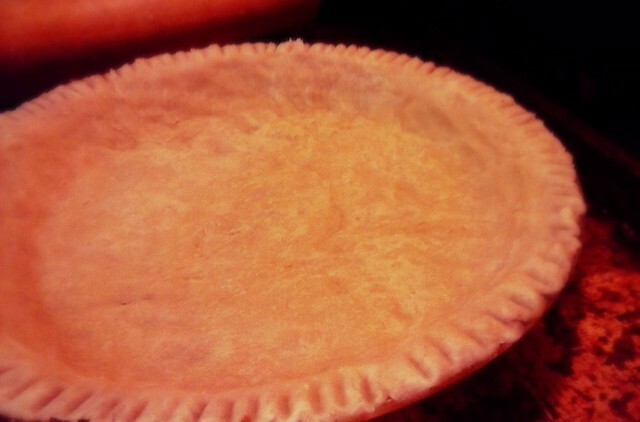 For a black bottom style pie, before baking dot the inside bottom of the pie shell with 4 Tablespoons of butter and 1/4 cup of brown sugar prior to baking. 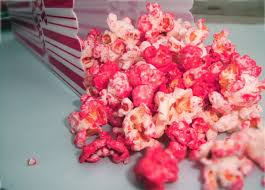 Preheat oven to 450 °F.In a mixing bowl combine all of the ingredients and use a form to create a crumb mixture. Add water one tablespoon at a time until a dough forms.Roll bowl out between pieces of plastic wrap or on a non-stick silicone mat and flip onto pie plate. Do not prick with a fork.Bake for 12 minutes or until golden brown and fill. 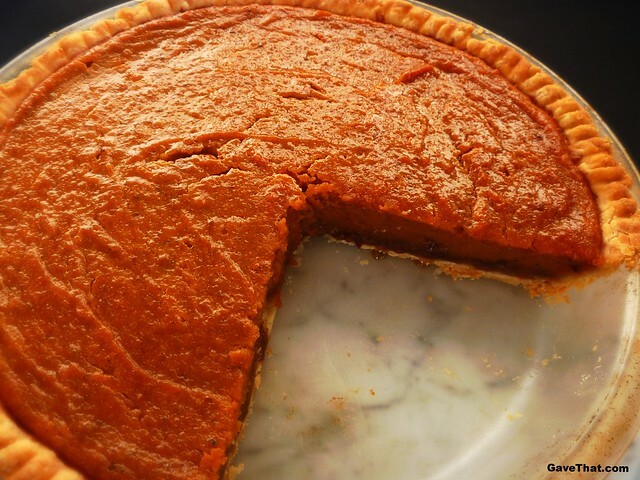 This recipe is a blend of Patti LaBelle's two Sweet Potato Pies. TIP: For the sweetest sweet potatoes look for ones that are long and skinny. While a simple potato masher works for the best texture similar to the LaBelle store bought pies, whip on high with a stand mixer or use a VitaMix blender. Preheat your oven to 350 °F.Reserve 1/4 cup of brown sugar and 4 Tablespoon of brown sugar for use in the pie shell for a black bottom.Dissolve corn or potato starch into half and half and gently heat in the microwave for 20 seconds.After boiling sweet potatoes, peel of skins and mash to reserve 3 cups.Combine all ingredients and whip for at least 10 minutes or until smooth. Pour into baked pie shell and wrap edges with foil to prevent burning or use a pie ring.Bake for 1 to 1 & 1/2 hours until the center is set. A knife inserted should come out clean. Allow to cool for 2 hours before serving.